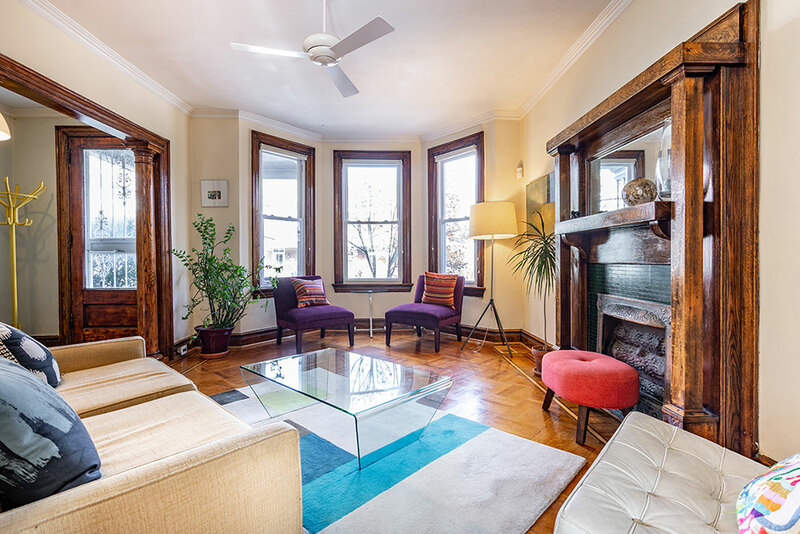 This east-facing Petworth row home with 4 BR/3.5 BA has been newly renovated with an open floor plan featuring lots of natural light and dark stained hardwood floors throughout the main and upper levels. The renovation includes a gourmet kitchen with a breakfast bar and a lower level in-law suite with a full bedroom, bathroom, wet bar and wine fridge with convenient rear access to the off-street parking. Upstairs, the master bedroom boasts a cathedral ceiling with a huge ensuite walk-in shower in the master bathroom and 2 additional upper level bedrooms. The Most Expensive Home of the Week is a 2-level 3 BR/4 BA penthouse condo unit in the West End at The Residences at the Ritz Carlton listed for nearly $4M with over 3,300 sq. ft. also includes 1,700 sq. ft. of its own private terrace. End-unit 3 BR brick rowhouse in Fort Davis Park looks nearly brand-new on both the inside and out with an open house on Saturday at 12 p.m. Your REO/Foreclosure Property of the Week is a 3 BR detached home in Woodridge across the street from the Barnard Hill Park sold AS-IS at $480k. The Most Expensive Home of the Week is a $3.97M 3 BR penthouse condo at The Westlight and it’s just as fancy as you’d expect with over 2,600 square feet and its own service entrance. 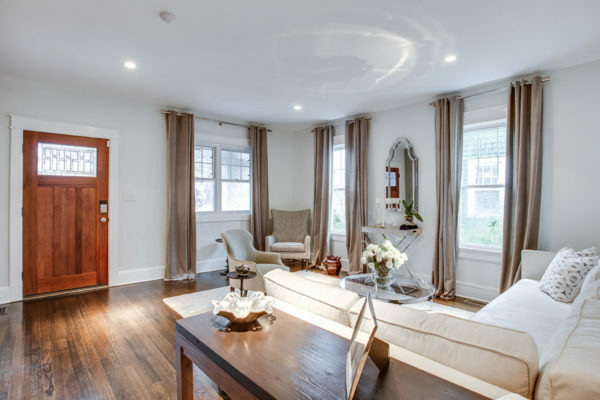 Renovated 1 BR Petworth condo is a wide-open corner unit filled with natural light. Brookland detached home has 3 BR/2 BA, welcoming front porch, a traditional floor plan, a large fenced backyard with a deck and the home even has its own Tiki Bar on the lower level! This 3 BR/3.5 BA “thoughtfully restored row home offers convenient access to both public transportation and nearby shopping and restaurants.” Features of this home include luxury interior finishes, brand-new systems (electric, plumbing, mechanical & HVAC), 2 off-street parking spaces, a solar lit backyard and a fully-finished lower level with a guest suite and rear walkout access. The Most Expensive Home of the Week is a 7 BR mansion for $16M that didn’t sell in the summer of 2018. I doubt relisting it at the same price in single-digit weather is going to help it sell any faster, but hey, it’s got a wine cellar and infinity pool! On the edge of Petworth is this Colonial style 3 BR, 3-level AS-IS townhouse. Your Bankruptcy Property of the Week definitely has a staircase, walls and backdoor, but aside from that, you’ll have to visit to see the full condition of this 2 BR. This 1 BR/1 BA unit at Cityline Condominiums in Tenleytown is freshly back on the market. With over 600 square feet of living space featuring an open floor plan, hardwood floors, a breakfast bar and an in-unit washer/dryer. 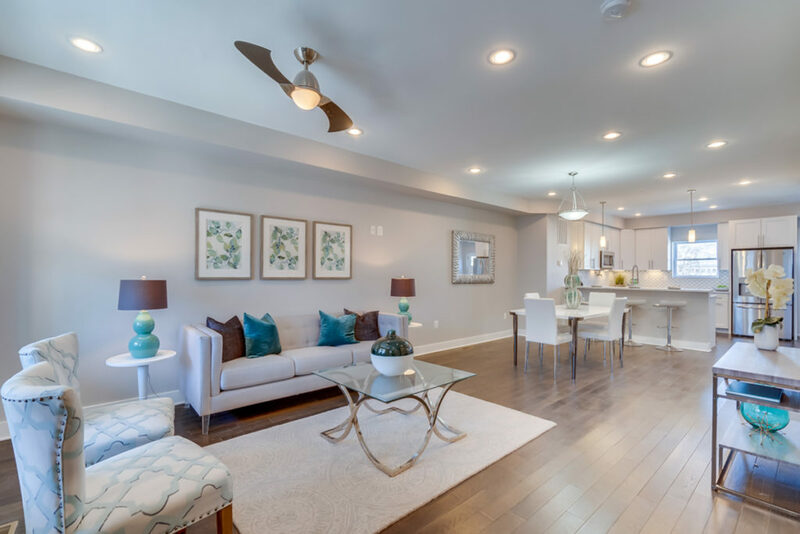 The building has a plethora of community features and a great Walk Score of 90, making all errands a breeze and quick access to the Metro is just steps from your front door. The Most Expensive Home of the Week is a $2.3M two story Dupont penthouse with 3 BR/3.5 BA and numerous built-ins across both levels to create your own massive in-home library. It’s old, it’s new, it’s renovated. This 4 BR Petworth home retains its classic charm amongst the other townhouses, but once inside, is modern and freshly renovated to satisfy buyers of all ages. 1 BR at Cathedral Court with a more traditional floor plan includes a rarely seen working wood-burning fireplace in the unit as well as a beautiful view of the National Cathedral right from the unit’s large windows. 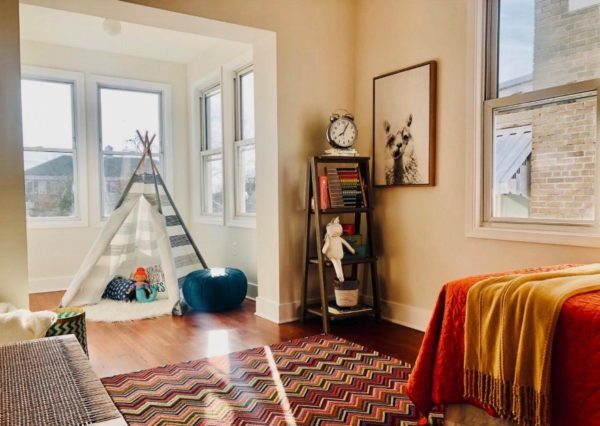 Your REO/Bank Owned Property of the Week is a 2 BR/2 BA condo in Navy Yard listed at $558k, but you’ll need to invest a couple dollars into overhead lighting (or maybe just new light bulbs). 560 square foot studio unit at the Harbour Square condominium complex in Southwest Waterfront boasts a wealth of community features including a community rooftop with amazing views, a renovated gym, library, indoor swimming pool, 24-hour security and water gardens with tables and grills just steps from the Wharf neighborhood! The Most Expensive Home of the Week is a 11 BR/10 BA, 7 half bath villa in Forest Hills with over 16,000 square feet described as “Palazzo della Felicita” (Palace of Happiness) listed for $15M. Another newly constructed 1 BR unit in the recently completed Chapman Stables at Truxton Circle with a private fenced-in south-facing patio entrance. Your REO/Bank Owned Property of the Week is a Brentwood end-unit townhouse with some strict AS-IS contract requirements, but a 3 BR for $400k could be a good value if you can overlook the amateur paint job that ended up on the hardwood. Located in a central and serene location, this 3 BR/2 BA row home is surrounded by some of the most popular neighborhoods all within a great Walk Score of 93. The classic Wardman style home “features gorgeous original floors and woodwork,” as well as a new kitchen, a fully finished basement and a fenced-in rear patio that’s perfect for BBQ’s and late summer night lounging. 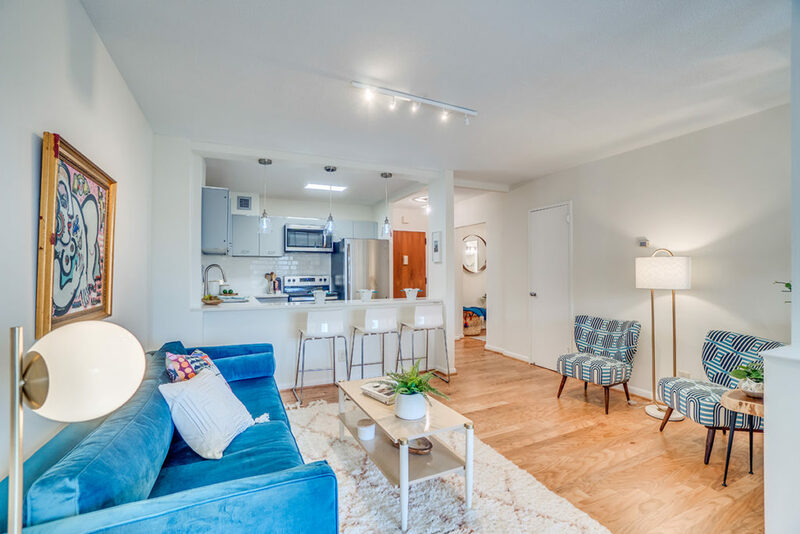 A 2 BR/2 BA brand-new condo conversion in the Faircloth Condominium building is just about as close to Silver Spring as you can get without crossing the DC line. This 4-level rowhome on the edge of Navy Yard is a modern 3 BR + Den and the whole top level is the master bedroom suite with a walkout rooftop terrace. Your REO/Bank Owned Property of the Week is a 3 BR detached rambler in Hillcrest, beaming with renovation potential. 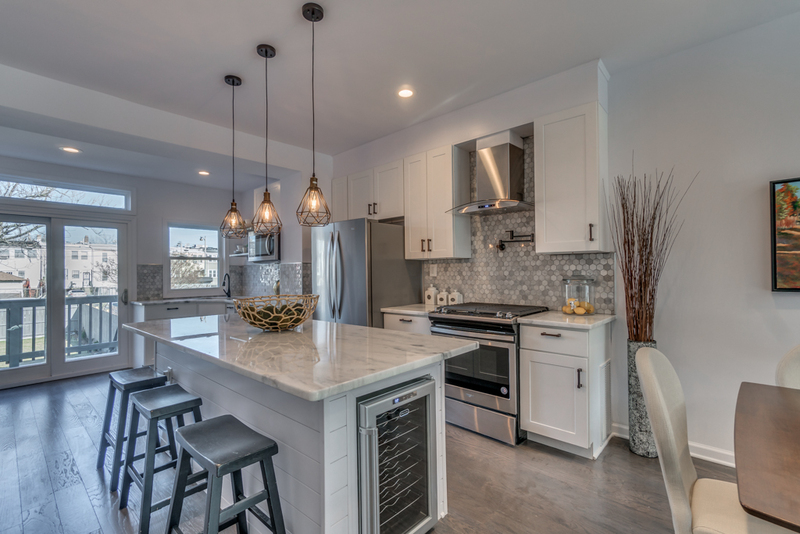 This “beautifully renovated 3 BR and 2.5 BA semi-detached home with two rear parking spots in sought after Brightwood” just hit the market on Monday. 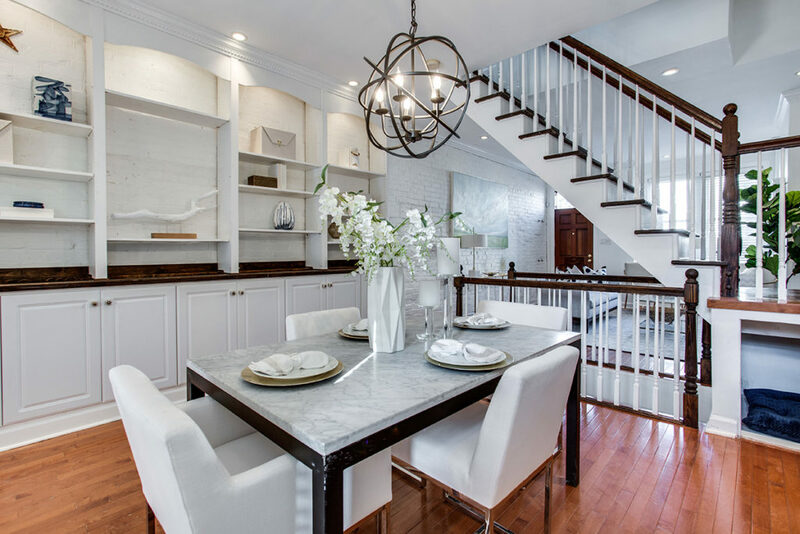 The renovation of this Federal row home brings in lots of natural sunlight on 3 sides, a gorgeous open and modern kitchen and hardwood floors throughout the main and upper levels. Lastly, the rear of the home boasts a huge deck perfect for Summer gatherings and down below a parking pad for 2 cars. The Most Expensive Home of the Week is another luxury 2 BR/2 BA + den at the brand-new Westlight building with over 2,200 square feet listed for $2.7M. 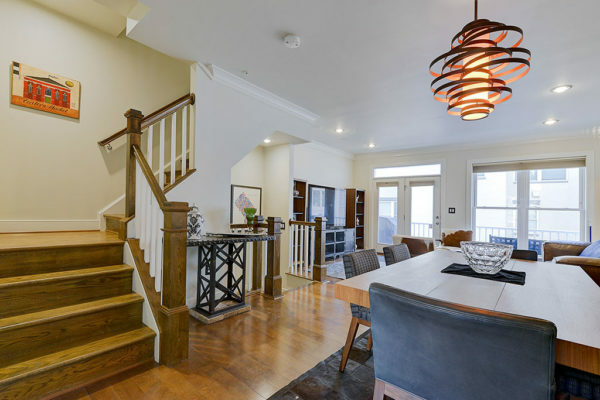 Petworth 3 BR/3 BA townhouse is loaded with a combination of modern and original features, a front porch, sun room, an attached garage and more! 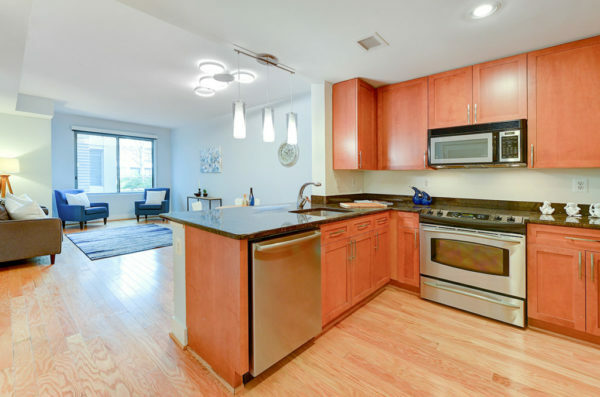 Studio condo unit in Lanier Heights is in a perfect location with a Walk Score of 93 and easy access to Columbia Heights, Woodley Park and Adams Morgan. Your REO/Bank Owned Property of the Week is a rare listing of this type of sale since it’s actually been “refreshed” prior to hitting the market, but still sold as is. This “remodeled 4 bedroom/2.5 bathrooms detached home in the heart of Brookland” is so fresh that it’s COMING SOON with open houses this weekend Sat. & Sun. 1-3 PM. The home boasts a covered front porch, modern kitchen, mudroom, a deep backyard, 2 parking spaces and a slew of new features including windows, carpeting, bathrooms and hardwood floors. Stay tuned for more professional photos later today. Not surprising, but another luxury condo at the new Westlight is your Most Expensive Home of the Week listed at $3.38M for a 3 BR/3.5 BA and over 2,600 square feet. 2 BR/2 BA Columbia Heights condo with a huge master bedroom suite and a Walk Score of 96. Your REO/Bank Owned Property of the Week is a studio unit in Kalorama that appears to need very little work to become move-in ready. A 1 BR in Southwest Waterfront at Harbour Square has all the amenities and views you could ever want! Beautiful 3 BR + Den/Office townhouse in Navy Yard has been fully upgraded to include wide-plank floors, gourmet kitchen with breakfast bar, granite and stainless appliances, a double sided fireplace, rooftop deck with panoramic views, and each bedrooms have en-suite bathrooms, including a large master suite with walk-in closet and a master bath spa shower. 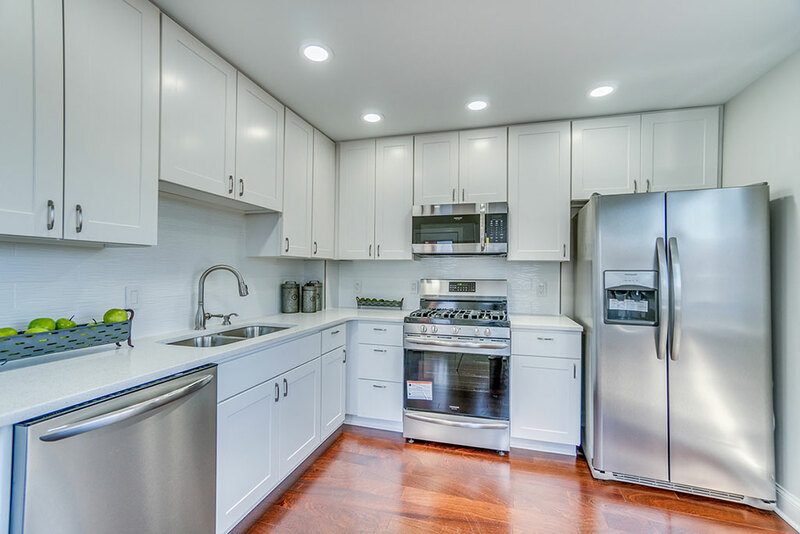 The Most Expensive Home of the Week is a 2 BR/2.5 BA luxury condo in Kalorama Triangle with over 3,300 square feet listed at $3.75M. 1 BR/1 BA condo with an open floor plan at The Palladium in a fantastic location of Dupont Circle with a Walk Score of 97. Your REO/Bank Owned Property of the Week is a 4 BR detached home in Woodridge is “rehab ready” with great bones awaiting an owner with vision.